From the ancient Lycian Way through the Turquoise Coast, the Carian Trail on the Aegean coast and fairytale Cappadocia to the Way of St Paul, our self guided walking holidays in Turkey offer great hiking opportunities at an unbeatable value. 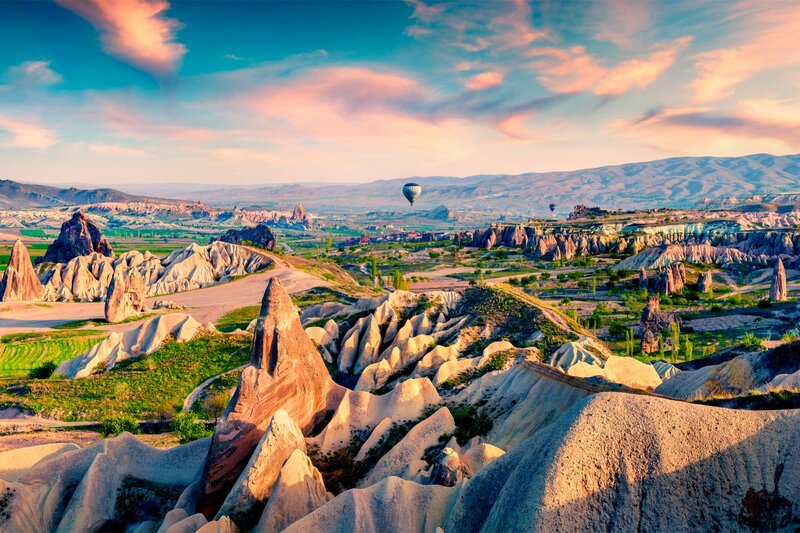 For millions of years, volcanoes erupted over the Central Anatolian Plateau to form the unique landscapes, rock formations and fairy chimneys that characterise Cappadocia. The Fairy Trails of Cappadocia walking holiday will bring you to green valleys surrounded by lunar landscapes, through ancient cities and fortresses. 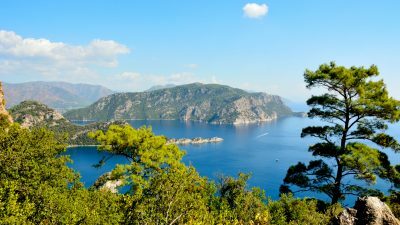 In the south-west of Turkey, along the Aegean coast, the Carian Trail leads through a fascinating coastal landscape. On our Carian Trail self guided walking holiday, you will experience a constant interplay of land and sea, thousand-metre-high cliffs and secluded bays inviting you for a swim, combined with the ruins of the ancient Carian civilization. Where Do our Self Guided Turkey Walking Holidays Take Place? 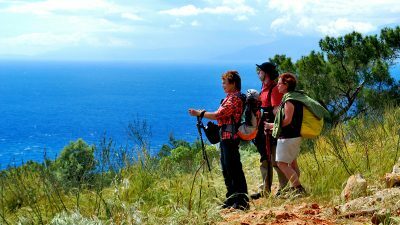 The Lycian Way is a long-distance footpath in Turkey around part of the coast of ancient Lycia. 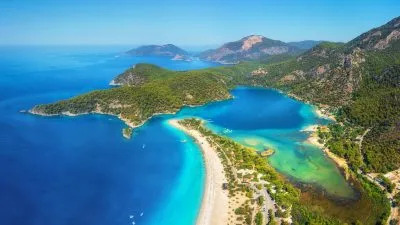 It is approximately 540 km long and stretches from Ölüdeniz, near Fethiye, to Geyikbayırı, about 20 kilometres from Antalya. There are walking tours for all levels in the secret beauty of Lycia. 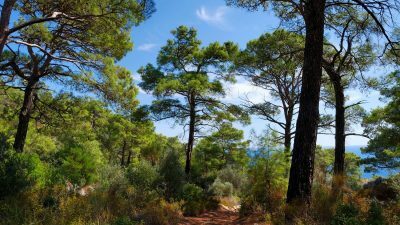 Famous for its ancient ruins and rock tombs, there is a chance to walk separate sections in the eastern or western part of the trail, or even do the entire Lycian Way long-distance trail. 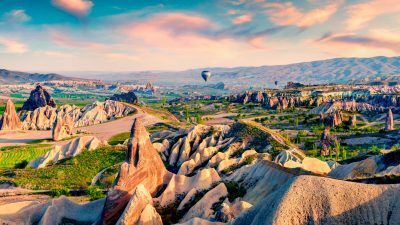 Cappadocia, a semi-arid region in central Turkey, is known for its distinctive “fairy chimneys” – tall, cone-shaped rock formations clustered in the Monks Valley and Göreme elsewhere. Other attractions include Bronze Age houses carved into valley walls by troglodytes (cave dwellers) and later used as refuges by early Christians. The 100 m-deep Ihlara Canyon houses numerous rock-face churches. The Carian Trail winds through some of the lesser known regions of South-West Turkey. The Carian Way leads through a fascinating coastal landscape, divided into countless smaller and larger peninsulas, bays and islands. There are thick, green forests and glowing white rocks rising above the sea. On the Carian Trail, you will experience a constant interplay of land and sea, mellow mountains and bays which invite you to swim.